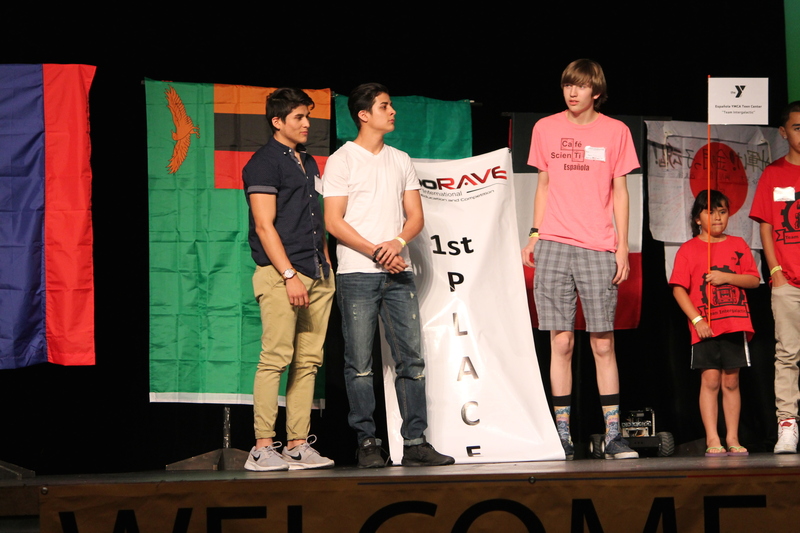 Albuquerque, N.M. – The robotics team from Española’s Café Scientifique has quietly become an international powerhouse in the world of competitive robotics. Pitted against teams from across the world, Española’s robotics team finished the tournament on top, when it came to building and programing a robot at the 2016 International RoboRAVE held in Albuquerque, N.M. on May 7-8. With the win, the Española team has qualified to compete at the RoboRAVE International in Ishikawa, Japan this November 2016. 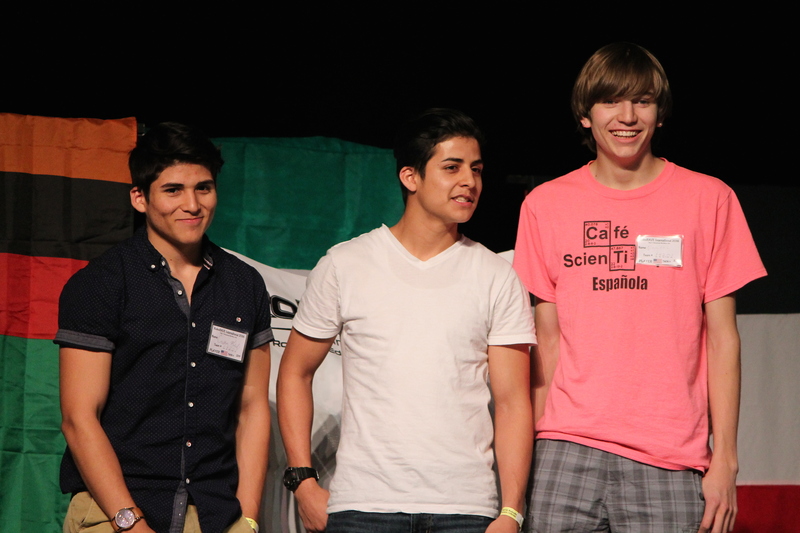 The Española team, comprised of four local high school teens—Sergio Madrid, Cristian Madrid, Emmett Moulton, and Liam Silverman (not pictured)—were challenged to design, build, and program a robot capable of completing an elevated maze in three minutes or less. The faster the team could complete the task, the higher the overall score. “I have the pleasure of working with a group of intelligent teens who were able to participate in an amazing opportunity and display their hard work in STEM while representing their community“, said Café Scientifique Coordinator Savannah Trujillo. Schools Education Foundation for this program”, Hall said. Founded in 2007, Café Scientifique is a free, fun way for high school aged teens to explore the latest ideas in science and technology. Stimulating conversations with scientists, engineers, and inventors take place in an informal and relaxed setting. The program is run by teens for teens in Albuquerque, Española, Los Alamos, Rio Rancho, and Taos. This program is made possible with funding from the National Science Foundation, Los Alamos National Laboratory, and Northern New Mexico College.